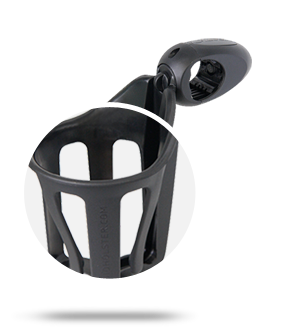 The LIQUID HOLSTER ® is made from top notch plastic to handle the bumps and is UV stable so won't go brittle if left out in the sun. 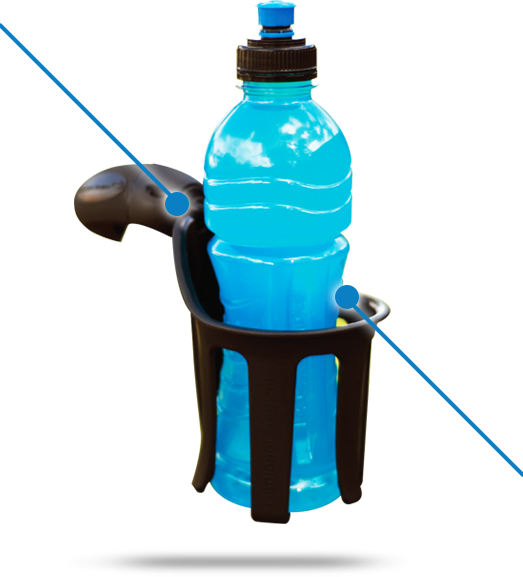 Taking up to a 800ml drink container (27 fluid ounces) or bottle of wine, it is the perfect drink holder! 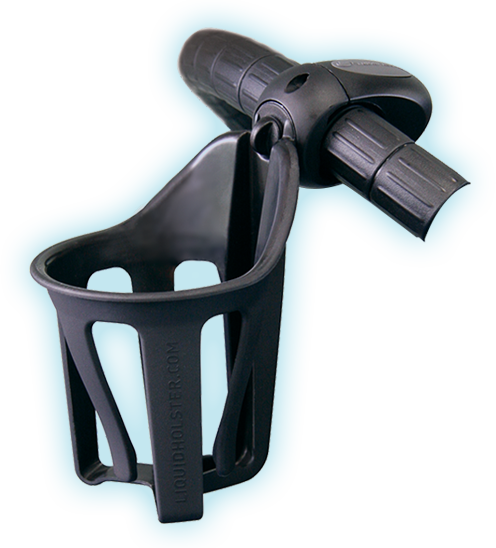 A funky recreational self-levelling drink holder. 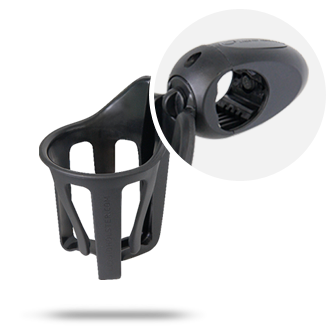 The universal attachment fits to baby strollers/buggies, golf trundlers, bicycles, and to rehabilitation and marine equipment. The design aesthetic is clean and modern, a perfect match for todays modern style equipment.